Sprayway Hood River 6 Man Tent - Limited Stock Special Price! 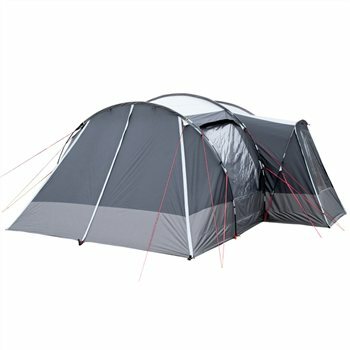 Get yourself a 6 man tent for an absolutely crazy price! We only have a few left in stock so do not miss out of this fantastic offer. The Hood River 6 is a tunnel design tent with a host of features, making it not only very easy to erect, but comfortable and enjoyable to stay in. With plenty of dedicated storage space, and a removable second bedroom than can be packed away to make room for a massive living space.